Your toddler is bound to be happy one moment and sad the next, even though she may not understand why or recognize the feeling itself. 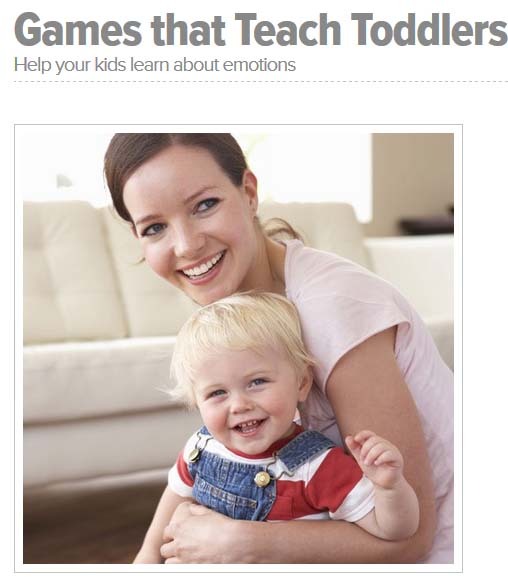 Games that help toddlers recognize feelings in themselves also help them learn about feelings in others, says Diane Doyle, director of the Rollins College Child Development Center in Winter Park, Fla. Learn how to help your little one identify feelings while having a little fun throughout the day with these interactive games that teach feelings.